So, the nice people at Metasploit (thanks HDM, Bannedit) have committed a bunch of my SAP auxiliary modules to the Metasploit SVN tree [r11858]. 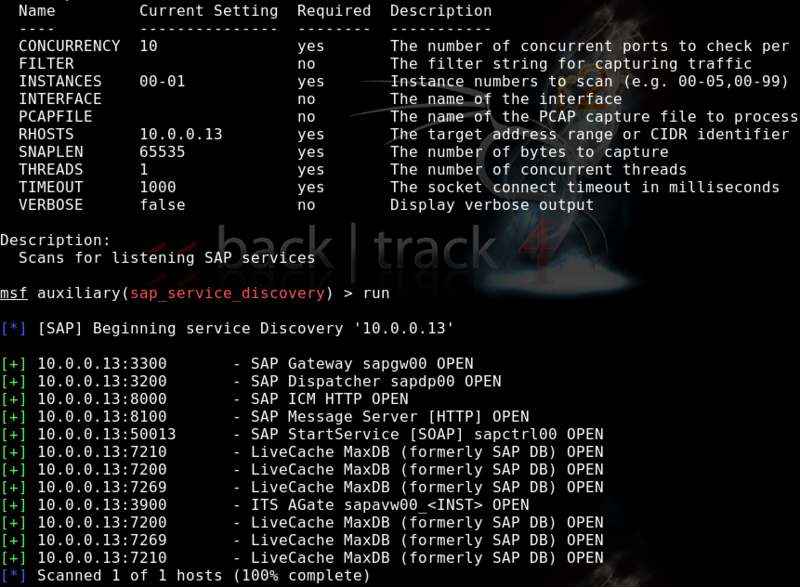 Alongside the modules I already released, I also finished up testing on the SAP_service_discovery module and wrote a new module sap_mgmt_con_brute for brute-forcing username|password through the SAP Management Consoles Basic Auth authentication*. As these are MyFirst© Metasploit modules I’d appreciate any feedback you might have. I’ve still got a few modules to write-up once I get time, but I think these should be enough for you guys to be going on with. Special thanks to Bannedit (and all the others in #Metasploit) for putting up with silly Ruby/Metasploit questions! * This is a brute-force module… you may lock out accounts. Obvious really, but apparently that needs to be said! There are a few patches to the version in Metasploit 3.6.0. So if you’re testing make sure to run an svn up to get the latest changes! Yep, im using the SVN version. I’m waiting for my Sap VM to test it. Im learing about Sap and Security assessment on Sap. One quick question, if you can help, why can it be a security issue reading the Start Profile? It depends on the contents really. Exposure of paths, SID etc… It’s all useful for information gathering. Information is king after all! its a good starting point for an assessment, thanks!